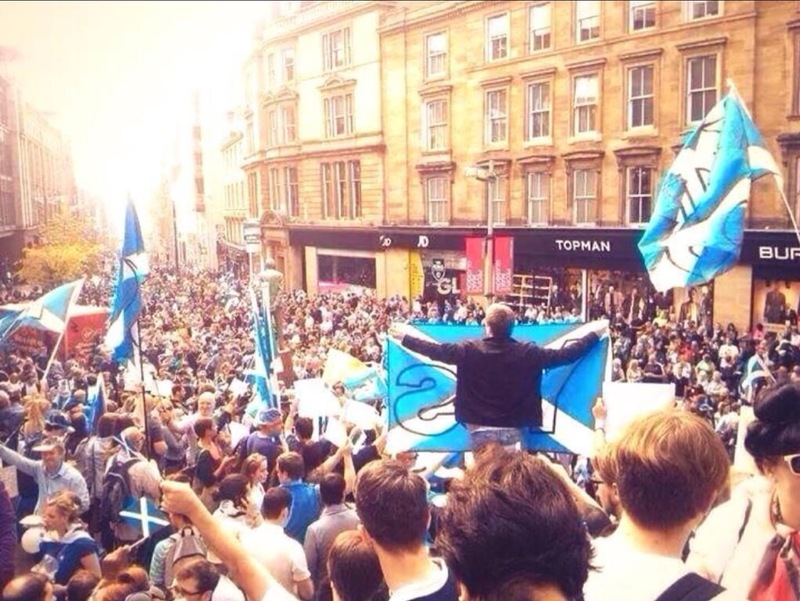 And your evidence that this protest was organised by the Scottish Govt is? What’s that? You don’t have any? So we can presume you’re just talking out of your arse then? This is indeed sinister, as our nocturnal friend “Jives” would say. It sounds a little like what another lot of Nationalists (I think they called themselves Socialists as well) got up to several decades ago. I do hope that press freedom will not be adversely affected should Scotland vote for independence on Thursday. Was at a political public meeting tonight. Panel of speakers, room full, kids running around, babies crying. No politicians anywhere. Here we have protests effectively organised by the government, the Nationalist government and directed against the media. Fred, please, do the research and i think you will find that the protest was organised by the people who will elect the government. last nite’s BBC report on the anti-semitic rally in Berlin with “Merkel. BBC made it sound like 100,000 were there, by excerpting Merkel mentioning that number of Jews living in Germany today. a google search today showed the BBC summary ending with Merkel “described the 100,000..”, giving the same impression. On stage, Chancellor Merkel began her speech saying the 100,000 Jews living in Germany were a “national treasure”. Following your recent questions at the press conference with Mr Salmond I feel compelled to write to express my disgust and disbelief at the blatant bias shown by yourself and the BBC in this matter. Your report says “Mr Salmond didn’t answer”, which clearly isn’t true having watched the full clip with Mr Salmond’s clear response to your question. I am sickened and disheartened by the clear bias shown by the BBC in case after case, not just on independence matters. 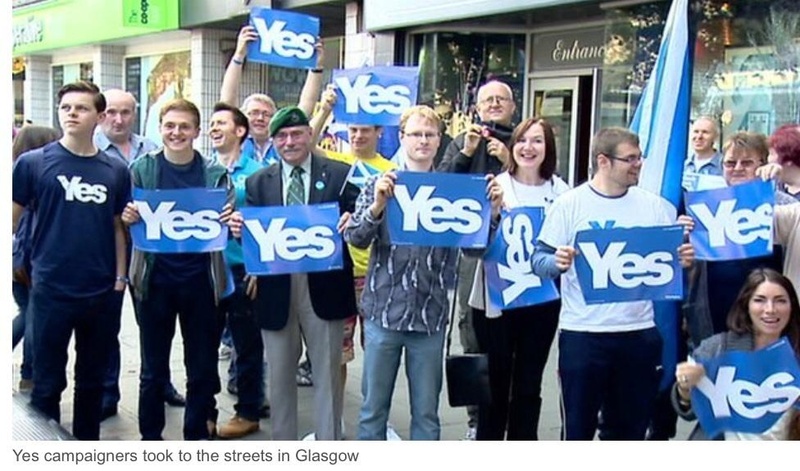 I’m sure you’re aware of Dr John Robertson’s report on BBC and ITV bias on the referendum. I sincerely hope it won’t be long before a critical mass of informed people refuse to accept the subtle lies perpetrated by a media which aligns itself with corporate interests. Please find copied below the complaint I sent via the BBC’s website in relation to a report by BBC political editor Nick Robinson on the News at Ten 11/09/2014. The report on the Scottish Independence referendum by Nick Robinson on the BBC News at Ten 11/09/2014 was misleading and biased. Having seen the full question from Mr Robinson and subsequent responses from Mr Salmond I am disgusted by the manner in which this was portrayed to the nation at 10 o’clock that evening. The report by Mr Robinson asked “Why should a Scottish voter believe you, a politician, against men who are responsible for billions of pounds of profits?” and reduced Mr Salmond’s seven minute answer down to a snide personal comment from Mr Robinson who stated that “He didn’t answer, but he did attack the reporting.” I refer you to the following link where the entire exchange may be watched. Let me add my own attack to the reporting of Mr Robinson, and the BBC as a whole, not just on this specific issue, but many more. Your corporation and its propaganda agenda serve the interests of the corporate elite. What you purport to be independent journalism is in fact disgustingly biased. Misleading the public whilst hiding behind a facade of impartiality, and the erroneously perceived integrity of the name of the BBC, is an act that you have got down to a fine art. Sadly it may well be asking too much of a main stream media organisation to deliver facts in a balanced and fair manner. That being said, I find it wholly unacceptable that Mr Robinson can be allowed to air a report which is patently untrue. I would also like to add that I value greatly the work you do to shine a light on the bias and lies of media organisations the world over and wish more people could find their way to your website and articles. And here’s to you Mr Robinson. Jesus! I was shocked to see how the poor man has changed so rapidly. How dare he criticize the protesters who had it right about Robinson. ‘Alistair Darling said aspects of the trail were “deeply depressing”, as he cited a demonstration against a broadcaster whose reporting was perceived to be biased against independence. Up to 1,000 Yes supporters held a demo outside BBC Scotland’s headquarters in Glasgow on Sunday.